With the school year winding down, there have been some changes at Nutley High School. Mr. Gaines is one of the many new additions to the staff. His current position is the new choir teacher. He is a leave replacement for Mrs. Monte while she is on maternity leave. Mr. Gaines previously taught at The University Heights, a charter school in Newark. He taught there for four years, teaching general music to elementary and middle school students. Now, he is a teacher here at NHS and it has been a great experience for him. “I really appreciate the things he has seen here,” said Mr. Gaines. Now that he has more experience as a teacher, he really has more of an idea of how to handle his students and his work. 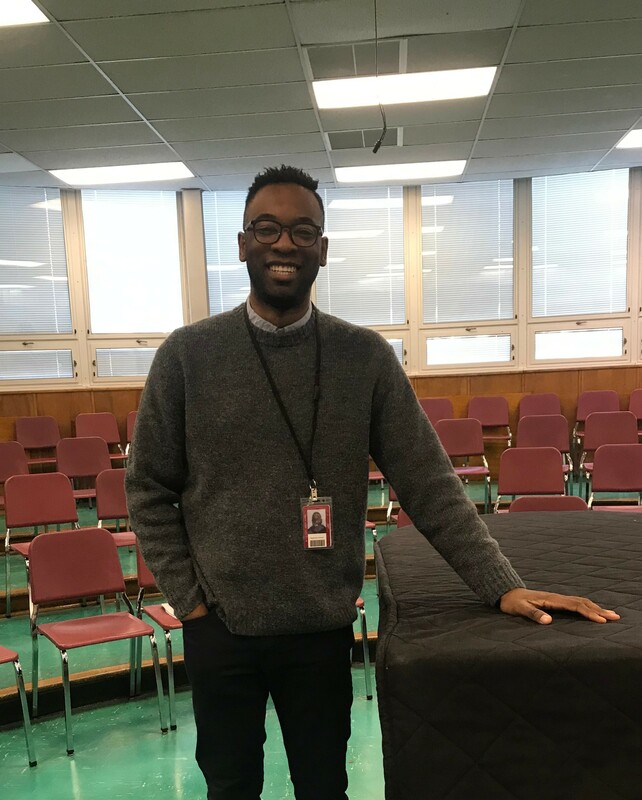 Before all of his musical glory, Mr. Gaines wanted to be a doctor and was going to go to NYU but, he decided to major in education while in college. When asking him why he had chosen education he explained that he chose education because in high school he had taken choir thinking it was going because to be an easy “A.” He then, one day went up to the front of the class and started to sing for one of his assessments. His teacher had realized his talent and pointed it out so, he started to pursue his talent and joined theater. Mr. Gaines’ teacher would eventually start putting him into one of the select groups. As time went on Mr.Gaines kept following his passion for music and fell in love with it. Other than teaching over 100 students every day, Mr. Gaines still finds time to teach a men’s choir club. In the future, he hopes to be more active in his school environment, as of the moment though, he is just trying to get acclimated to the building. Overall, he loves what the does and is happy to be here and NHS is happy to have him. When March rolls around, you will most likely start to see the Nutley High School’s yearly musical’s posters around the town. Mr.